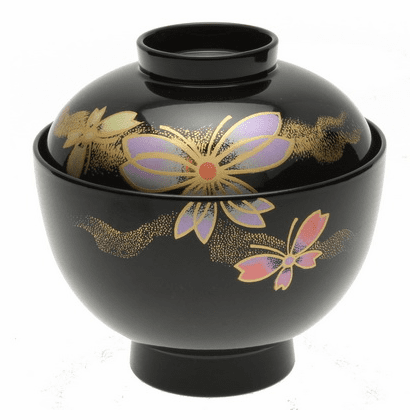 Butterfly lacquer ware soup bowl with lid. Made of high quality plastic with a fine luster finish. 4-1/4 inches in diameter, 4-1/4 inches tall. Hand wash recommended. Not microwave safe.